Sicoma twin shaft concrete mixer is a new type of functional concrete mixer machinery. This machine can mix dry hard concrete, light weight aggregate concrete and various mortars; this type of concrete mixer is characterized by good mixing quality, high mixing efficiency, low consumption cost and less noise, which is a machine of environmental protection. 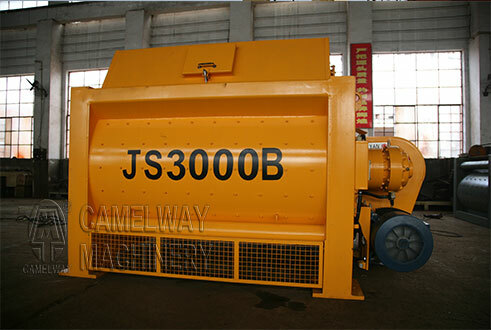 It can not only work independently, but also be adopted as the mixer in the concrete batching plant. So it is widely used by the vast majority of users. Twin-shaft compulsory mixer manufactured by Henan CamelWay Machinery Co., Ltd., has features of reasonable structure, innovative layout and easy operation and maintenance. Meanwhile, in order to meet customers’ requirements, we can also produce concrete mixer according to the special requirements of customers. If you are interested in our products or want to know more information, please leave your contact way, for example, name, nation, and your contact way (email, or phone number, whatsapp, skype, viber, wechat). We will give you a reply as soon as possible.